Oils are not a food group, but they do provide essential nutrients, and are therefore, included in USDA recommendations for what to eat. Most athletes do not pay attention to types of oils and fatty acids that they are consuming, but it's extremely important to consume the right ones for peak performance. Most of the fats you eat should be polyunsaturated (PUFA) or monounsaturated (MUFA) fats. Oils are the major source of MUFAs and PUFAs in the diet. PUFAs contain some fatty acids that are necessary for health called “essential fatty acids." Approximately 22-55mg of MUFA and PUFA are recommended. ►Omega-3: Cannot be produced by the body (essential). The least naturally abundant in the diet; brain development, roles in cognition and mood, and heart disease risk reduction (lower LDL). ►​Omega-6: Essential; contribute primarily to heart health and cholesterol reduction. ►Omega-9: Monounsaturated; non-essential; heart health benefits and assistance in blood sugar control. Where can you find Omega-3, Omega-6 and Omega-9? ►Omega-3s: Can be found in canola and soy beans, walnuts, Flax seeds and oily fish like salmon and tuna. 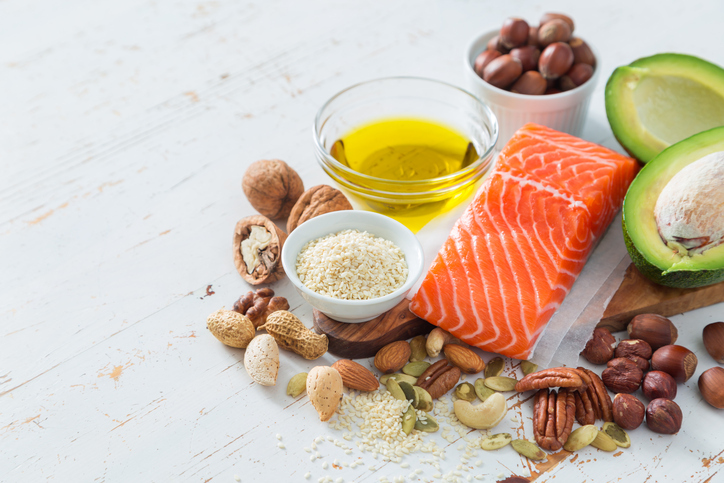 ►Omega-6s: Can be found in corn, canola, olive, peanut, safflower, soy bean, sunflower, almonds, cashews, hazelnuts, peanuts, pecans, pistachios, pumpkin seeds, walnuts, eggs, dairy, meat and poultry. ►​Omega-9s: Can be found in canola, corn, soy bean, olive, peanut, sunflower, safflower, almonds, cashews, macadamias, peanuts, pecans, pistachios, hazelnuts, walnuts, avocado, eggs and dairy. Irina Belfer-Lehat of Nutrition Solutions Co. is a New York State-licensed dietitian and certified dietitian-nutritionist. Irina Lehat RD Nutrition Solutions offers group classes starting in September, for kids in kindergarten through high school. Small groups, affordable prices! Mention this article and receive 20 percent off any services. For more information, call (917) 769-8031, e-mail irinalehat@gmail.com or visit www.irinalehat.com.